Note: There are a great many people who think Ashley Hope Perez is Latinx, but she is not. I thought she was but have since learned she isn't, and want to be clear about that for AICL's readers. I got a copy and started reading. 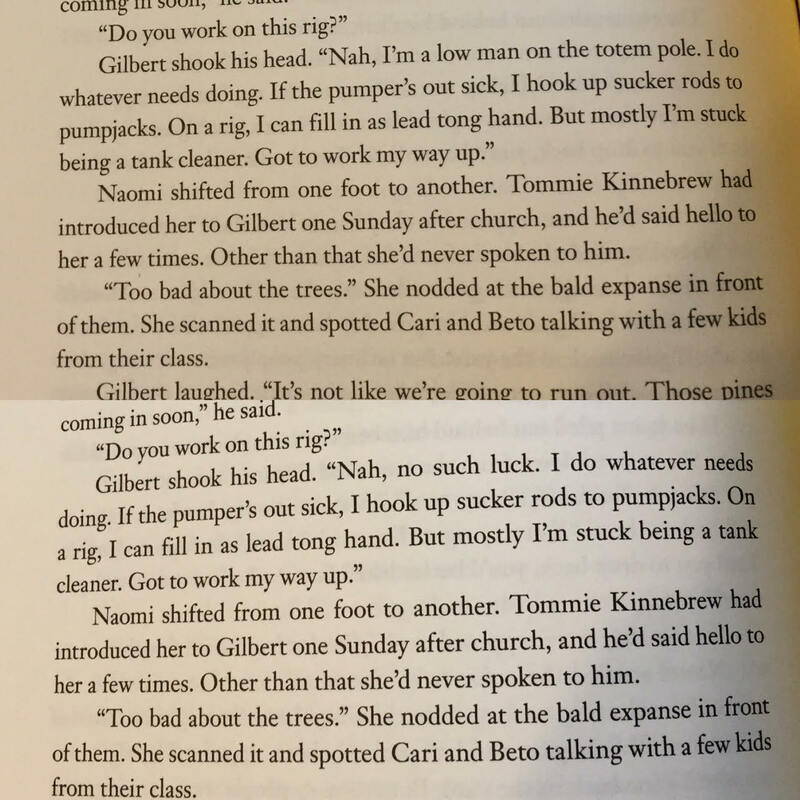 Then, I got to page 98 and paused at "I'm a low man on the totem pole." Prior to that reading, I'd had very limited--but positive--interactions with Ashley. So, I wrote to her about that line. Was it possible, I wondered, to take out or revise that one line in the next printing? Ashley wrote back, saying that she'd try. 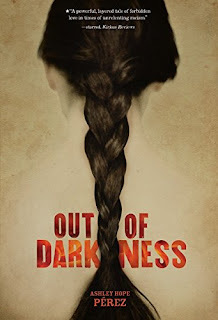 I was--and am--gripped by, and deeply moved by the story she tells in Out of Darkness. It got starred reviews and went on to win awards. With that change ("Nah, I'm a low man on the totem pole" was replaced with "Nah, no such luck. ", I can enthusiastically and wholeheartedly recommend it--with the caveat that it is not a book by a Latinx writer. Here's my heartfelt thank you to Ashley for hearing my concern. For not being defensive. For not saying "but..." or any of the things people say instead of "ok." And of course, a shout out to her editor, Andrew Karre, and her publisher, Carolrhoda, for making the change. Out of Darkness doesn't have any Native content. I'm recommending it because it is an excellent story, and because it is an example of what is possible when people speak up and others hear what they say. Is Out of Darkness in your library yet? If not, order it today. Please see Sarah McCarrey's post, On Totems, because she, too, listened and responded in a good way. Debbie--have you seen MacMillan & Kirker's MULTICULTURAL STORYTIME MAGIC? This is not ok! 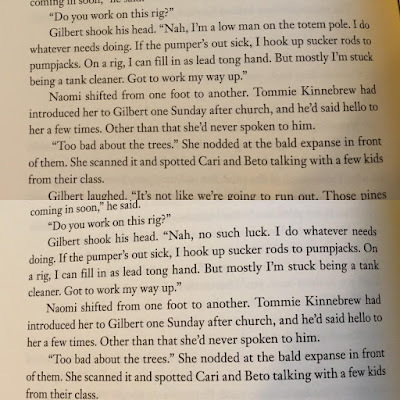 I am guessing that the editor at ALA Editions who worked on MacMillan and Kirker's book, and MacMillan and Kirker, too, assumed that using an award winning book--Mary Ann Hoberman's A House Is a House for Me--seemed a good choice, but it isn't. It wasn't ok in 1978 when Hoberman's book came out, and it sure as heck isn't ok for it to be in a resource book published by ALA Editions in 2012, either. 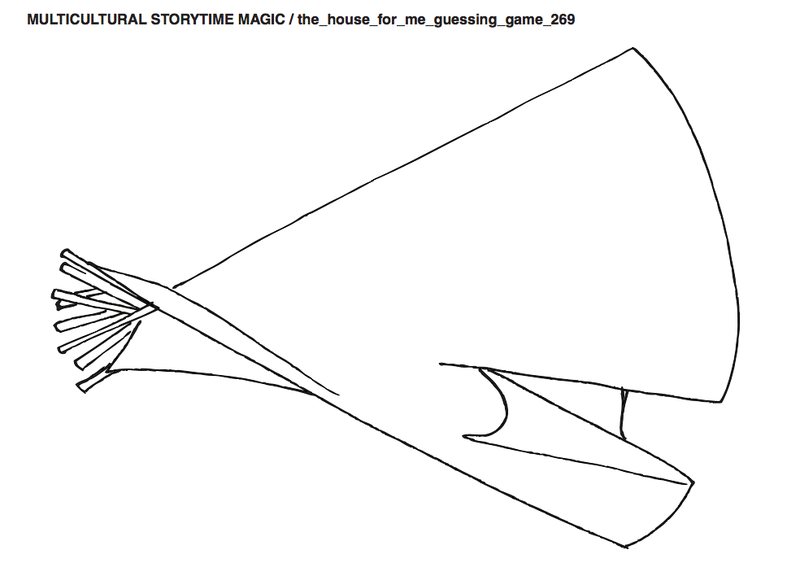 A House is A House for Me is set in the present day. It shows children in a tree house (which is generally considered something for children to play in), or a cardboard box (which is also considered something for children to play in), beneath a beach umbrella or a table, or in a snow house made on a snowy day. There's a castle for a duchess and one for a king, too. All the other "houses" are for insects, animals, or other items ("a sandwich is a home for some ham"). 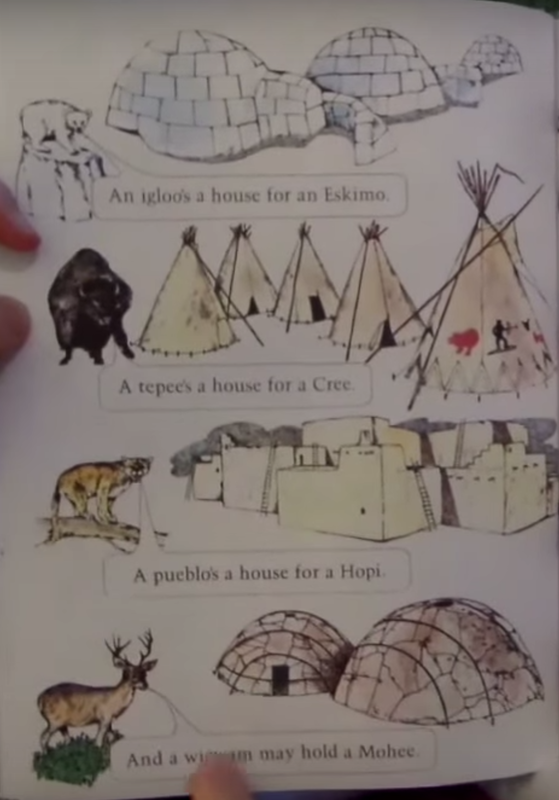 If you haven't been reading articles about the ways that Native Americans are depicted in children's books, that page might seem fine to you. It isn't. For decades, people have written about the problems in using igloo's and tipi's to represent Native peoples. They are real things and are in use by some people today but Hoberman's book moves the time frame to present day. Certainly some Plains Indians use their tipi's today as a home, but most live in houses and use their tipi's for gatherings. 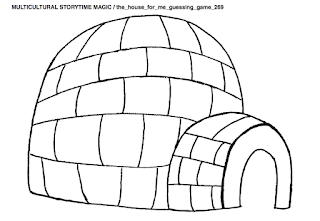 Not all Eskimo's today or ever, lived in igloo's. Their use is specific to a geographical location and, in many cases, purpose. "A pueblo's a house for a Hopi." That is a bit clunky. I have a traditional adobe home. It is not attached to others in the village like the one in Hoberman's book, but some pueblo people live in those villages in some of the pueblos. That sentence could be improved if she wrote "A pueblo's a house for Hopis." Plural. As is, it tells us that the entire village houses one Hopi. The wigwam for a Mohee? That's not ok. Who are the Mohee? I don't know. Do you? I can find "Mohee" in several sources about a folksong, My Little Mohee. I also find a bit of info about it in a book titled The Lasting of the Mohicans. But really: there is no tribal nation that I know of that is called the Mohee. 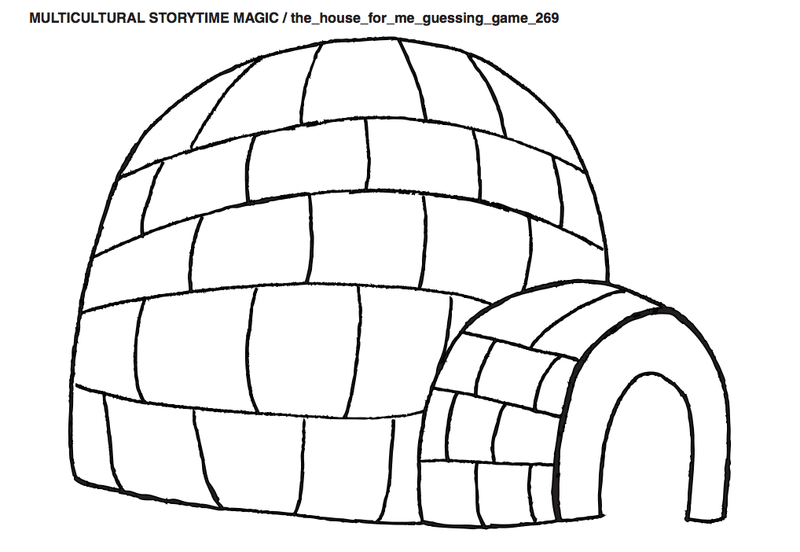 An igloo's a house for an Eskimo. A tepee's a house for a Cree. A pueblo's a house for a Hopi. And a wigwam may hold a Mohee. This stanza is clearly an attempt on the author's part to reflect the diversity of Native Nations, and perhaps to counter the prevalent image that all Native peoples traditional lived in tipis. However, the attempt is flawed because the author portrays Native peoples in the past and not in the present. A House Is a House for Me is a clear example of how a well-meant effort to diversity curriculum can go badly astray if all the factors are not considered. A third way to think about that page is this: why is there only a page about Native homes? Where's the pages about the kinds of houses that other peoples lived in? I hasten to add that I'm not advocating for those pages, because they'll just do what the one on Native houses does: tell children that a particular group lives in a house that is unlike the ones that children see as the norm. In other words, adding those pages would make other groups exotic, too, and cast them into time frame that may not reflect the houses they live in today. Last, most of the structures the kids are shown in are places of play, of imagination. It is a bit jarring to think of the Native homes in that framework. 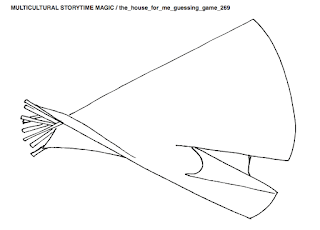 I have no doubt that everyone involved in the making of A House Is a House for Me and Multicultural Storytime Magic had good intentions, but it gets tiring to talk about good intentions, again and again. When "good intentions" is our default, we're doing a disservice to the children who are on the receiving end of those good intentions, and we are likely contributing to the likelihood that we'll see other books that do the same thing. We saw that very thing, in fact, last year, in Home by Carson Ellis. See what Sam Bloom at Reading While White said about Home and see what I said, too.